Prominent & Leading Manufacturer from Jamnagar, we offer stainless steel floor drain, steel floor drain and ss floor drain. We are considered in the market to be one of the leading manufacturers and suppliers of this quality Stainless Steel Floor Drain. 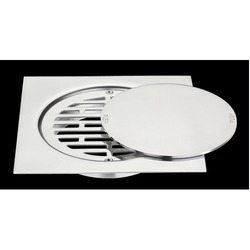 In order to maintain this reputation, we process this floor drain, manufactured by us using quality stainless steel, through a number of quality checks. Its efficiency in removing the standing water, in its proximity, is unmatched. Further, it is also known for its sturdy and corrosion resistant construction. This offered Steel Floor Drain, provided by us in the market, is known for the drainage it provides in the removal of accumulated water. Manufactured using high grade stainless steel, procured from trusted vendors, the offered product is highly credible in the market. Further, the efficiency it provides in showers, washrooms and kitchens makes the product highly demanded. 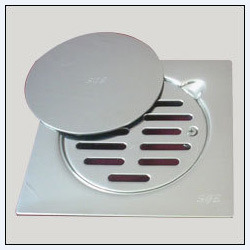 We are the prominent manufacturers, suppliers and exporters of SS Floor Drain. Acknowledged for its longer functional life and high functionality, the offered product is widely demanded in the industry. We manufacture these floor drains in adherence to the predefined industry standards and test their perfection before the final dispatch. 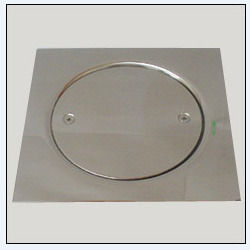 Looking for Stainless Steel Floor Drain ?